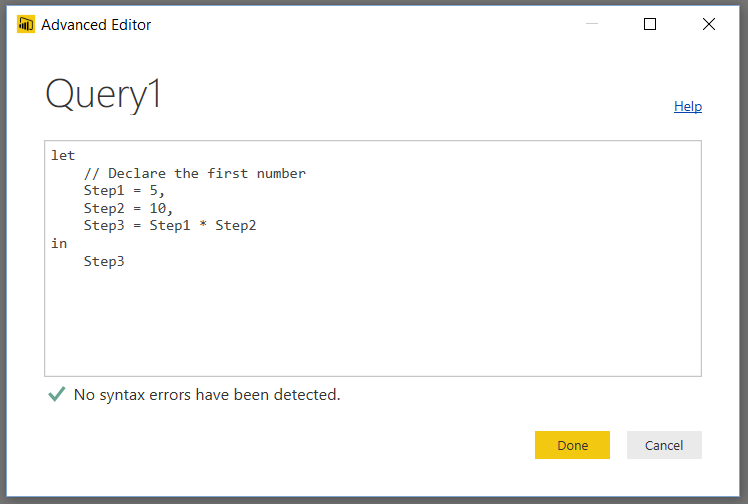 Happy First Birthday Power BI! This has been a great year for Power BI and its success is a direct result of all of the hard work that the team have put in. Speaking personally, I am incredibly grateful for all the help and advice that I get on a daily basis from individual Microsoft employees who are often providing it in their own time. My congratulations to James Phillips and to everyone who has worked on Power BI to make it what it is today! A discontinued feature is one that is no longer supported. It might also be physically removed from the product. The Non_Empty_Behavior property for calculated measures. To be honest, I’m happy to see this go: it doesn’t usually make much difference to performance and in most cases people use it incorrectly too. 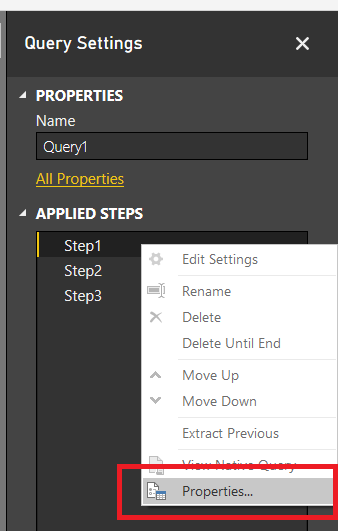 It really should be removed from Form View in the SSDT cube editor. COM assemblies. Note that this is not the same thing as .NET assemblies like the Analysis Services Stored Procedure Project! If you are using a custom MDX function implemented in a COM assembly you will probably find that the equivalent function implemented in a .NET assembly is a lot slower, but in my experience it’s almost always possible to avoid custom functions completely and use pure MDX – and this will give you the best query performance. I’m a bit sad to see the CalculationCurrentPass() and CalculationPassValue() functions die because you could do cool things like this with them, but I haven’t actually needed to use them for a long, long time. A deprecated feature is a feature will be cut from the product in a future release, but is still supported and included in the current release to maintain backward compatibility. Typically, a deprecated feature is removed in a major release, often within two releases of the original announcement. For example, deprecated features announced in SQL Server 2012 are likely to be unsupported by SQL Server 2016. The only thing that someone may possibly be using on the list of features that will not be supported in the next major release is linked dimensions; remote partitions and remote linked dimensions were always a very bad idea. The death of dimension writeback (note: not the same thing as writing values back to cells) is a bit of a shame: I never needed to use it, and most client tools didn’t support it, but it always struck me as one of those features that people might have used more if they had known about it. I see session cubes (as used by Excel PivotTables’ grouping functionality) will not be supported in a future release, which is probably a good thing given all the problems they cause. However I bet there are a lot of Excel workbooks out there that will be affected when this does go. Local cubes will also go in a future release, though I doubt anyone uses them anymore. 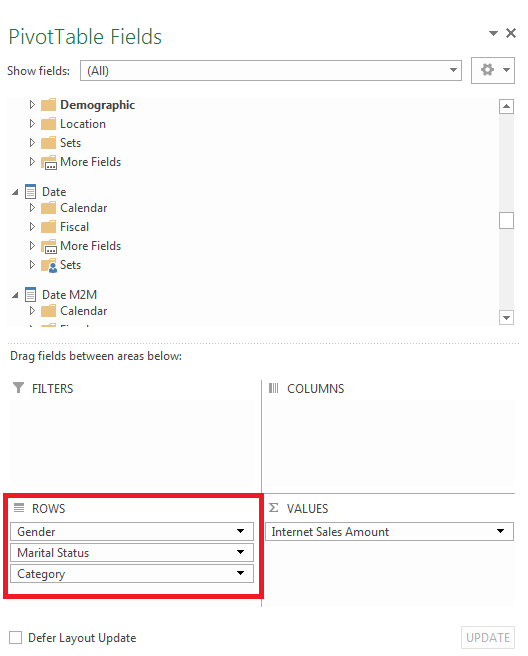 That said, I think it would be really useful if there was something similar that allows you to create a Power Pivot model that was a local copy of an SSAS Tabular database, with the option to filter the data in it. Offline access is not so important these days but this would allow users to create their own customised Power Pivot models from a properly designed, central model rather than always having to start from scratch. Profiler for trace capture is also deprecated, and I discussed this in-depth here. What’s New In Analysis Services 2016 Multidimensional? a number of enhancements have been made to multidimensional models; for example, distinct count ROLAP optimization for data sources like DB2 and Oracle, drill-through multi-selection support with Excel 2016, and Excel query optimizations. As the above quote shows, there have been improvements in ROLAP distinct count performance for DB2 and Oracle. 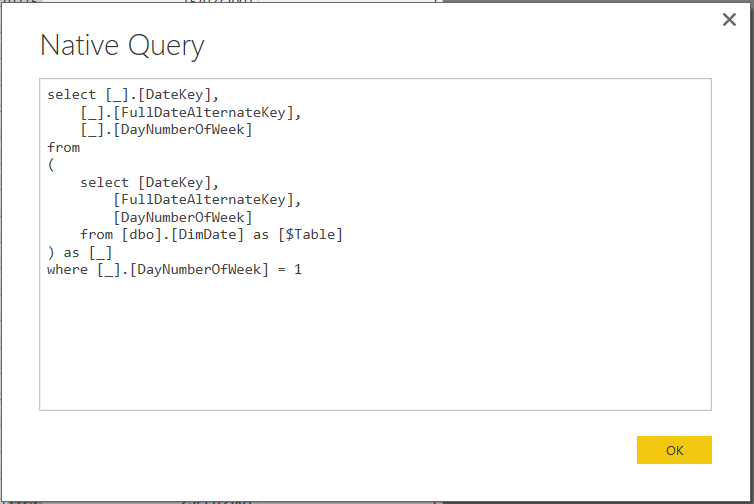 I’ve also heard there are improvements for the SQL generated in ROLAP mode to take advantage of SQL Server’s columnstore indexes. 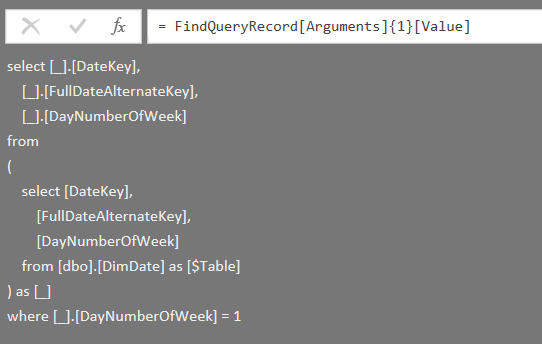 We now have Database Consistency Checker for SSAS, which you can read more about here or in Dustin Ryan’s post here. For Multidimensional it will only tell you whether your partition indexes are corrupt (it does a lot more for Tabular) and if they are you need to delete the database and then either restore it or re-deploy/reprocess. Extended Events for SSAS now have UI support in SQL Server Management Studio, although the UI still looks like it needs some work. I still see myself using Profiler for my SSAS performance tuning work for the foreseeable future – or at least until I work out what the extra information that Extended Events give you is useful for. I know other people, like Bill Anton, are more excited about Extended Events and their possibilities though. 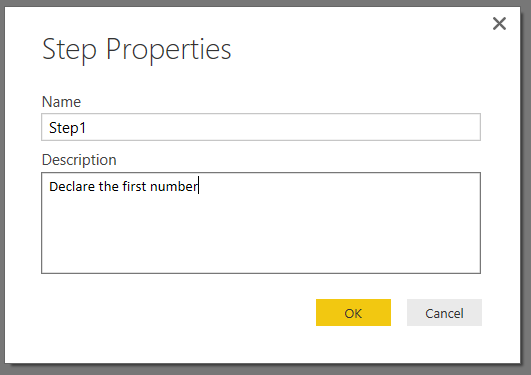 You can now use computer accounts to be members of the Analysis Services Administrators group in SQL Server Management Studio. If you are developing applications that need to create, alter, process or otherwise do stuff to an Analysis Services database in .NET code then you need to be aware that Analysis Management Objects (AMO) has been refactored to include a second assembly which “paves the way for future extensions to AMO, with clear division between generic and context-specific APIs”. There’s a new default setting for the MemoryHeapType server property that helps to avoid memory fragmentation and is relevant to Tabular and Multidimensional; Marco Russo has the details here. Not the most exciting or inspiring set of changes, I have to say, even if there’s lots of cool new stuff in SSAS Tabular 2016. There are also usually other fixes and improvements like the MemoryHeapType property that get added but are never documented, and when I find out about them I’ll be sure to blog or tweet. If you find any please let me know! Last month I upgraded the laptop I use for teaching to SQL Server 2016 and, as is always the way, not long afterwards I ran into a problem while I was doing a demo during a course: the SSAS Deployment Wizard didn’t work for SSAS 2016 Tabular projects created at the new 1200 compatibility level. I made some enquiries and was told that the tooling team hadn’t had time to do the necessary dev work before RTM but had finished it soon after, and that the new update would be in the July release of SQL Server Management Studio. This reminded me of something I had heard about but forgotten, thinking it wasn’t all that relevant to me: SQL Server Management Studio is now no longer bundled with SQL Server but is instead a free, separate download that is updated monthly. This official blog post from May has all the important details; Aaron Bertrand’s blog post from April is a great summary of what this means for SQL Server in general (his interview with Kent van Hyning, the Engineering Manager for SQL Server Client Tools is also worth reading); and the SQL Server Release Services blog is the place to look for new update announcements. To get back to my story, when the July update for SSMS was released a few days ago I hit the Check For Updates menu option in SSMS, it updated, and I got a working version of the Deployment Wizard (the Changelog has a complete list of all of the fixes/improvements in this version). The moral of this story is that even though all of the publicity around the new direction for SQL Server Management Studio is directed at the SQL Server relational engine community, it’s equally important for us BI developers – and we are going to have to make the effort to update SSMS regularly from now on. Of course a similar change has happened with SQL Server Data Tools, which is also now getting monthly updates. I’ve heard a few complaints around bugs and instability in SSDT recently and it looks like these issues are being fixed fairly rapidly: check out the list of SSAS-related fixes in the July update for SSDT in the post on the SSDT team blog and the associated Changelog. Again, as BI developers we’re going to have to get into the habit of updating SSDT on a regular basis. While getting bugs fixed quickly is great, I really hope that this new focus on tooling means that we get new BI-related features in SSMS and SSDT. 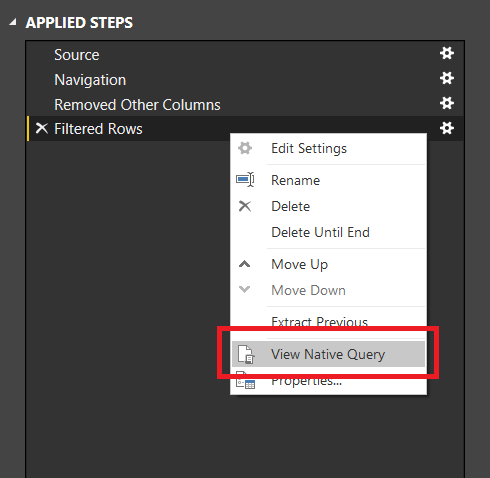 SSMS has, in particular, been shockingly bad at supporting BI developers: for example, I find it unbelievable that we still don’t have a DAX query window in SSMS when the language has been in SSAS Tabular since SQL Server 2012 (I know the community have filled the gap with DAX Studio, but that’s not the point). Aaron Nelson recently announced a Trello board where ideas for new features in SSMS can be debated but there’s very little BI-related stuff there at the time of writing. In regards to AS and RS version control. We are considering improvements to AS model where we actually break up the single model file into independent objects (tables, measure, roles, etc…). At least for SSAS and SSRS, we have MSBuild support on the backlog, but it isn’t the highest priority at the moment. The SSIS team has plans for MSBuild support and are considering to support this in a future release of SSDT. Stay tuned! The plan is to gradually improve the Tabular experiences in SSDT and SSMS, particularly for the new compat level 1200. We now have a better scripting language (TMSL) and a way better object model (TOM) and this sets us up for introducing improvements with the upcoming monthly releases. If everything goes to plan, you will see a significant new capability in the SSDT Tabular August release, and it will give you an idea where things are going. Sorry for not giving more details at this time. Let’s count the chickens when they hatch. These things simply didn’t fit into the SQL Server 2016 release timeframe. You’ll see improvements in future versions of the tools. 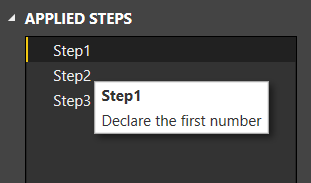 There are three variables declared in the let expression which appear as three steps in the Applied Steps pane. The first two steps declare integers and the third multiplies these two integers together, returning 50. 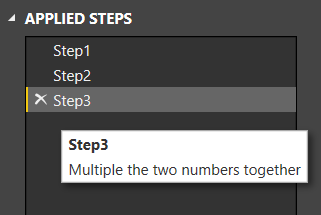 As a result, for anyone like me who writes a lot of M code manually in the Advanced Editor window, this turns out to be a really handy feature.